Inch-Loss & Contour Wraps will help you lose 4-14 inches per treatment or in other words one half dress size by softening and breaking down cellulite that does not respond to normal weight loss and exercise programs. Our Contour Wraps release trapped toxins that cause cellulite resulting in skin that permanently slimmer, smoother and softer. The Contour Wraps will maximize your results if you’re on a weight loss program as it enables you to lose a few extra “bonus inches” you may not have been able lose through diet and exercise alone. The Contour Wrap also reduces water retention, cleanses the liquid waste system and tones and tightens the skin. As you lose weight through proper nutrition and exercise, we recommend a Contour Wrap for every 10 pounds you lose. This will help to tighten and tone loose skin from weight loss. Here is how our most intense wrap works; Step 1: Exfoliation We prep the skin with an enzymatic and physical exfoliation process . This live enzyme will remove the dead, gray layer of skin exposing healthy skin, which is better suited for absorbing the Contour Cream. To start the flow of the lymphatic system Intensive Contour Cream is used. The main ingredient is Niacin (vitamin B3), a natural flushing agent. In addition to Niacin, Cassia is used to dilate the blood vessels and give the cream its fabulous cinnamon scent. It is common for the skin to turn pink once the contour cream is applied because circulation is being stimulated and blood is flowing to the surface of the skin. It is the lymphatic flow and increased circulation that flushes toxins out of the body resulting in inch loss and soft, conditioned skin. Once the cream is applied, the body is strategically wrapped in a specially formulated cellophane wrap from the top of the torso, down each leg separately and back up again. The upper arms are lightly wrapped as well. This acupressure effect pushes lymphatic fluid up towards the thoracic valve where the toxins can be deposited into the circulatory system, get filtered through the liver and kidneys, and finally excreted in the urine. 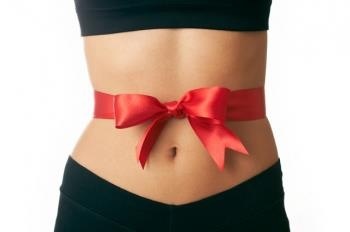 The cellophane wrap also helps to contour the body in areas such as the waist and thighs. The inch loss is permanent as long as you continue a healthy lifestyle and refrain from putting toxins back into the body. After you’ve been wrapped, you lie down and relax for about 45 minutes, letting the cream and wrap do all the work while you enjoy the warmth it creates. After the allotted time, your technician will cut you out of your wrap. The Contour Cream will continue to work for several hours so it is important to not shower for 6-8 hours after your treatment. Drink plenty of water after your treatment. This will help the detoxifying and inch loss process. The best way to eliminate or reduce the appearance of cellulite is to first detoxify your body internally with a 5-day detoxification program, to cleanse the liver and kidneys specifically, followed by a series of 6 or more body wrap treatments. It is recommended that you use our Cell-u-rid capsules after your wrap and continue to do so throughout your treatment series. Using the Our Maintain lotion after bathing each day is another great way to combat the appearance of cellulite. The maintain lotion is a mild version of the professional strength contour cream that is safe to use every day to maximize inch loss results. Follow these steps and you’ll see cellulite improvement and inch loss that you never dreamed possible!